You sure got some great new things. Wow! I love your purchases you've made! They are all so adorable! 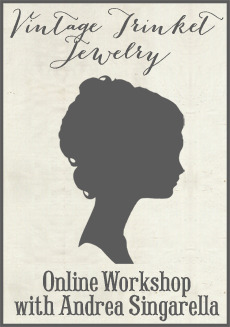 I adore your style and all your items you create! Count me in as one of your groupies! LOL! Oh I love that purse!!! Just beautiful goodies you have been buying!! p.s. I love my goodies from your shop...the glue stick is wonderful and I really love those cute little stick pins! Going to make a few pin cushions and will add a few of those with glittered tips... will be so cute! Good Morning Andrea!! you have been busy opening all these packages, everything looks sooo good! Enjoy everything!!! That purse is beautiful!! I will be ordering some of that dresden before it sells out!!! PS I hope you enjoy your soaps! Wow- it's so amazing that all this stuff is out there! Who knew? Thank goodness for the internet! Wow what wonderful goodies!!! I adore that handbag with its modern freshness and vintage styling! So cute. and I am ordering that one too! 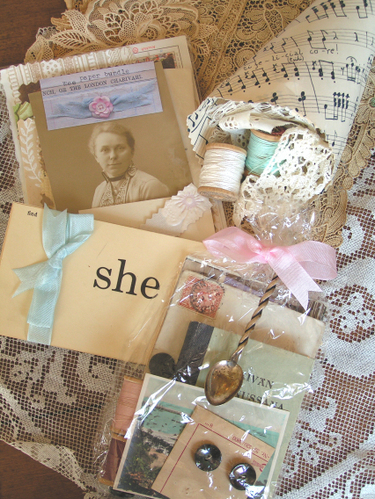 I love the goodies from Sepia Art Studio! What beautiful lovlies you have purchased. 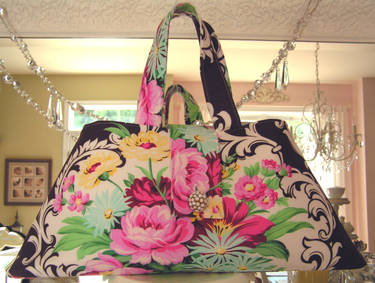 All of them are gorgeous, the fabric used for the bag is so unusual. Just beautiful! What beautiful things you got! 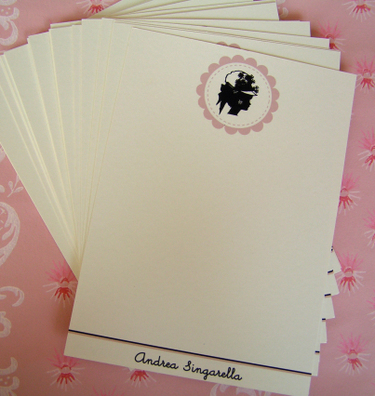 I love that stationery. I think I may have to pay her a visit. It kinda sounds like you are nesting a little. Have fun with all of your goodies! !